Thats all. Game finished - West Ham United 0, Burnley 3. Second Half ended - West Ham United 0, Burnley 3. Substitution - Burnley. Sam Vokes for Ashley Barnes. Offside - Burnley. Stephen Ward with a pass, however Chris Wood is in offside. Johann Berg Gudmundsson - Burnley - won a free kick in attack. Missed chance. Michail Antonio - West Ham United - shot with right foot from outside the box is high and wide to the right. Assist - Manuel Lanzini. Goal! West Ham United 0, Burnley 3. Chris Wood - Burnley - shot with right foot from the centre of the box to the right corner. New attacking attempt. Johann Berg Gudmundsson - Burnley - shot with left foot from outside the box is saved by goalkeeper in the centre of the goal. Assist - Jack Cork. New attacking attempt. Marko Arnautovic - West Ham United - shot with the head from the centre of the box is saved in the left corner. Assist - Chicharito with a cross. Missed chance. Manuel Lanzini - West Ham United - shot with right foot from the right side of the box goes high. Assist - Michail Antonio. Aaron Lennon - Burnley - receive yellow card for a foul. Manuel Lanzini - West Ham United - won a free kick in attack. Matthew Lowton - Burnley - won a free kick in defence. Corner - West Ham United. Conceded by Aaron Lennon. Substitution - West Ham United. Chicharito for João Mário. Goal! West Ham United 0, Burnley 2. Chris Wood - Burnley - shot with right foot from few metres to the centre of the goal. Assist - Aaron Lennon. Goal! West Ham United 0, Burnley 1. Ashley Barnes - Burnley - shot with right foot from the centre of the box to the top right corner. Assist - Chris Wood. Missed chance. Ashley Barnes - Burnley - shot with left foot from outside the box is close, but missed. Assist - Chris Wood. Substitution - Burnley. Chris Wood for Jeff Hendrick. Shot blocked. Manuel Lanzini - West Ham United - shot with right foot from outside the box is blocked. Assist - Michail Antonio. Ashley Westwood - Burnley - receive yellow card for a foul. Manuel Lanzini - West Ham United - won a free kick on the left wing. Shot blocked. Aaron Cresswell - West Ham United - shot with right foot from the left side of the box is blocked. Assist - Manuel Lanzini. Manuel Lanzini - West Ham United - receive yellow card for a foul. Ashley Westwood - Burnley - won a free kick in defence. Offside - Burnley. Stephen Ward with a pass, however Ashley Barnes is in offside. Offside - Burnley. Stephen Ward with a pass, however Jeff Hendrick is in offside. Corner - Burnley. Conceded by Michail Antonio. Ashley Barnes - Burnley - won a free kick on the right wing. Missed chance. João Mário - West Ham United - shot with right foot from outside the box is high and wide to the right. Assist - Manuel Lanzini. João Mário - West Ham United - won a free kick in defence. 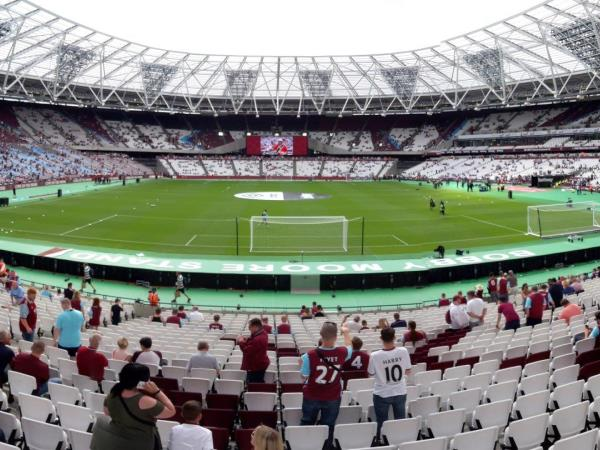 Second Half starts West Ham United 0, Burnley 0. First Half ended - West Ham United 0, Burnley 0. Michail Antonio - West Ham United - won a free kick in defence. Corner - West Ham United. Conceded by Matthew Lowton. Delay in match Stephen Ward - Burnley - - injury. Stephen Ward - Burnley - won a free kick in defence. Ben Mee - Burnley - won a free kick in defence. Shot blocked. Ashley Westwood - Burnley - shot with right foot from outside the box is blocked. Assist - Aaron Lennon. Aaron Cresswell - West Ham United - receive yellow card for a foul. Aaron Lennon - Burnley - won a free kick in defence. Shot blocked. Aaron Cresswell - West Ham United - shot with left foot from the left side of the box is blocked. Assist - Angelo Ogbonna. Corner - West Ham United. Conceded by Nick Pope. New attacking attempt. Manuel Lanzini - West Ham United - shot with right foot from the centre of the box is saved in the right corner. Assist - Angelo Ogbonna with a head. Jeff Hendrick - Burnley - won a free kick in defence. Missed chance. Pablo Zabaleta - West Ham United - shot with the head from the centre of the box missed to the left. Assist - Michail Antonio with a cross. Cheikhou Kouyaté - West Ham United - won a free kick on the left wing. Pablo Zabaleta - West Ham United - won a free kick in attack. New attacking attempt. Michail Antonio - West Ham United - shot with left foot from outside the box is saved by goalkeeper in the centre of the goal. Assist - Mark Noble. Offside - West Ham United. Michail Antonio with a pass, however Marko Arnautovic is in offside. 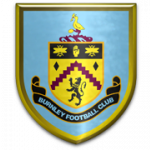 Delay in match Ashley Barnes - Burnley - - injury. Missed chance. João Mário - West Ham United - shot with right foot from the centre of the box goes high. Assist - Aaron Cresswell with a cross after corner. Missed chance. Manuel Lanzini - West Ham United - shot with right foot from outside the box goes high. New attacking attempt. Marko Arnautovic - West Ham United - shot with right foot from the centre of the box is saved in the right corner. Assist - João Mário with a through ball. Mark Noble - West Ham United - won a free kick in defence. 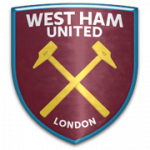 Delay in match Cheikhou Kouyaté - West Ham United - - injury. James Tarkowski - Burnley - won a free kick in defence. Missed chance. Ben Mee - Burnley - shot with the head from the centre of the box missed to the left. Assist - Johann Berg Gudmundsson .